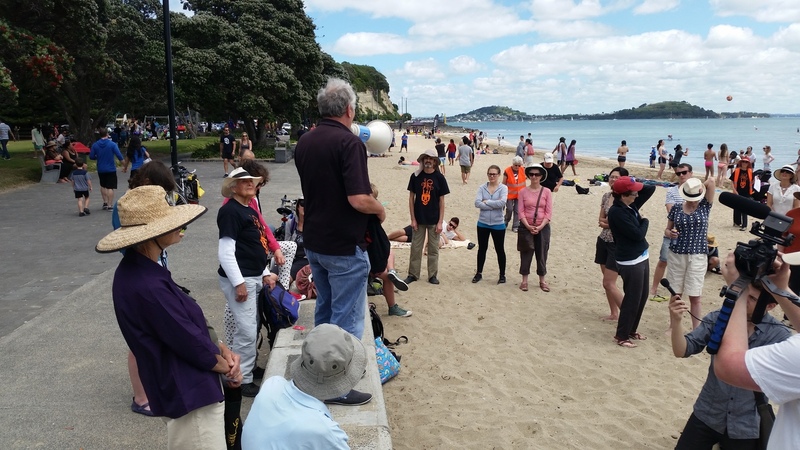 Climate change campaigners aired Fonterra’s ‘dirty laundry’ in public yesterday. 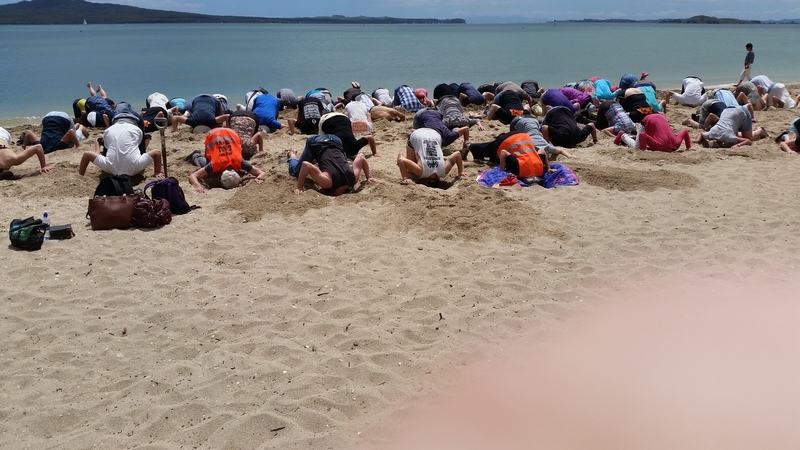 Auckland Coal Action have called the dairy giant’s promises to reduce its coal use largely ‘greenwash’ – an attempt to appear environmentally friendly without taking any substantive action. 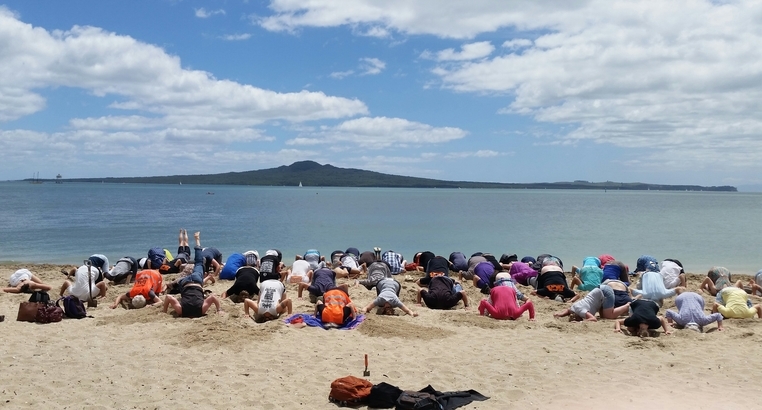 Fonterra recently announced that it would install no new coal boilers after 2030. 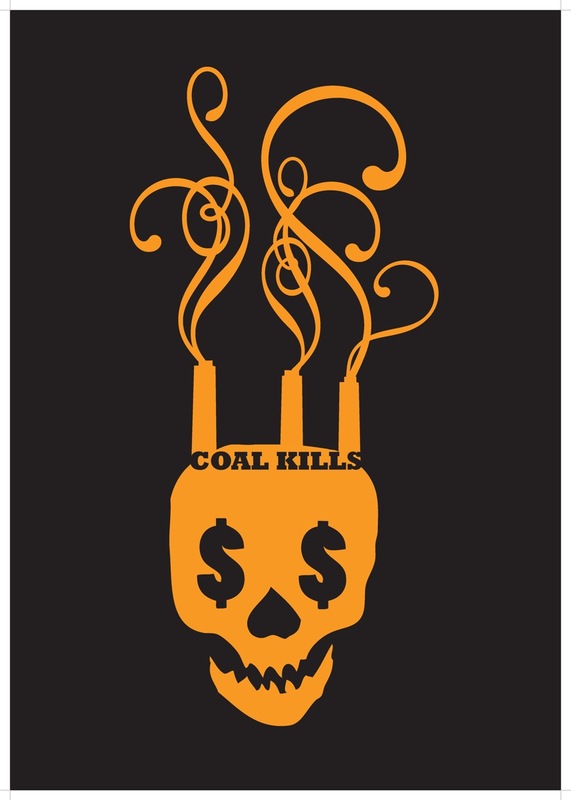 Whitmore calls this a “feeble target” because coal boilers have a typical life span of 40 years. She points out that 2030 is the date by which leading climate scientists say the world must have completely phased out coal if we are to maintain a liveable climate. 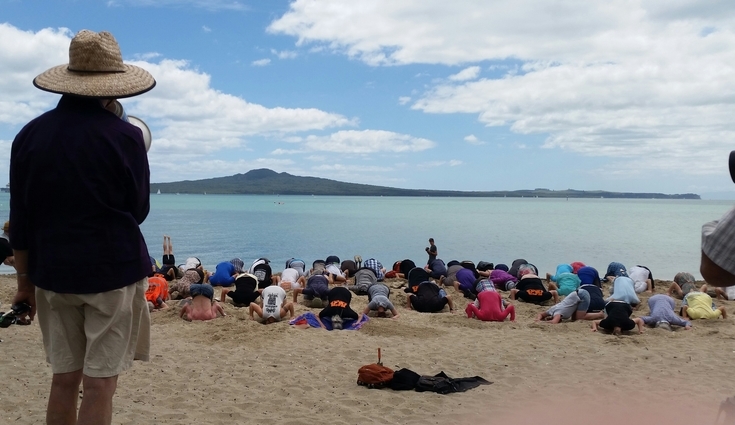 With an improvised washing line of messages for Fonterra, including a giant pair of bloomers urging Fonterra to ‘Quit the Greenwash’, protesters made their view heard, opposite Fonterra head office. Images from the protest below. 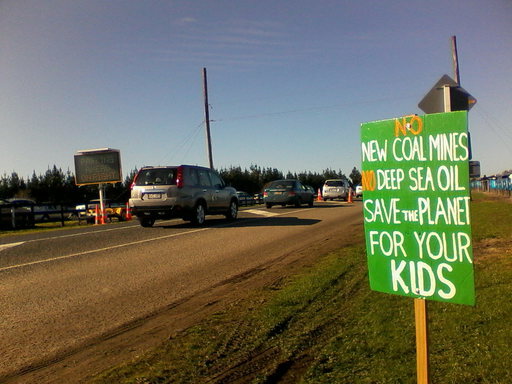 “We’re here to scope out the area, with a view to being here in the future when coal is mined. 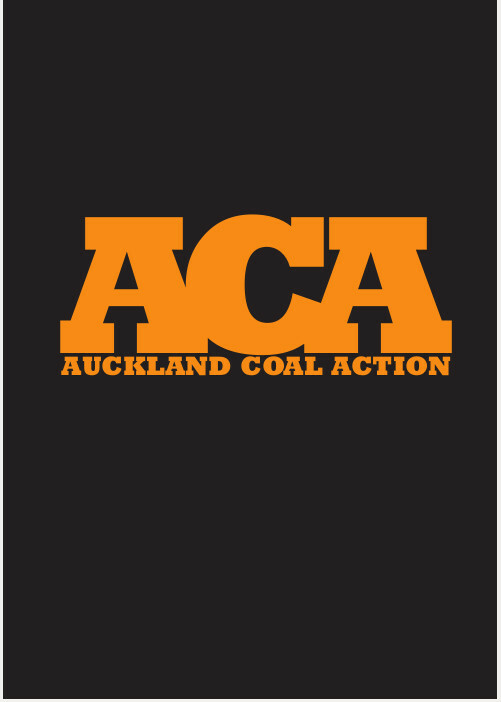 To put our bodies in the way of coal being mined.” – Nick on Auckland Coal Action’s inspection of the K1 mine near Maramarua. 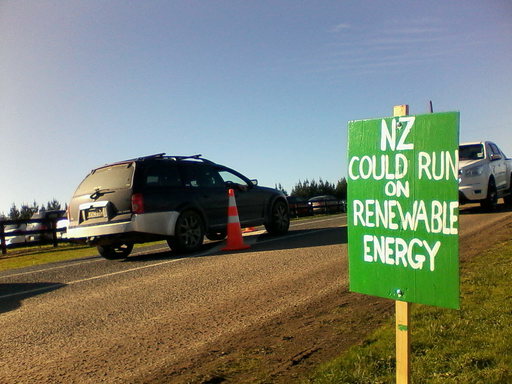 ACA put up a sign trail just outside Fonterra’s private road, after having first put it up on their private road and being sent off by a security guard. However, the second spot was just as good – traffic had to pass slowly, having just crossed the railway line and needing to than make a sharp right turn. Will Fonterra gamble, with shareholders’ funds, on no carbon charge in next 40 years? Fonterra decides: for sustainability, or climate destruction? The Fonterra AGM was held at their dairy factory at Waitoa on the southern Hauraki Plains, near Matamata. 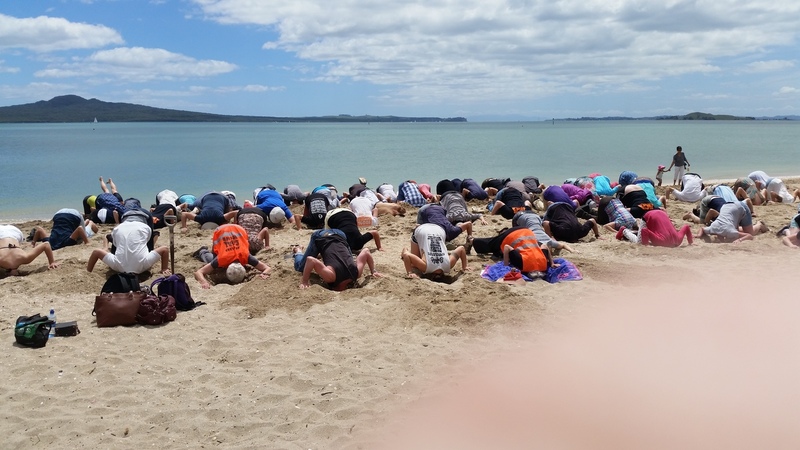 Once again, Auckland Coal Action were back at Mangatawhiri on the last day of the long weekend, to protest Fonterra’s use of coal at its Waikato milk plants. 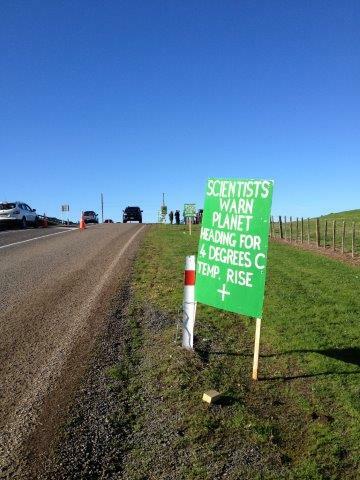 As usual, traffic was slow so thousands of motorists had plenty of time to read and think about our several signs. 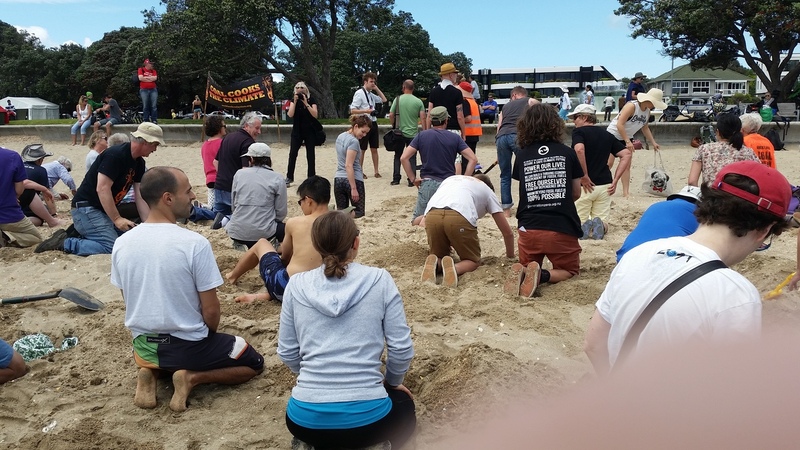 Auckland Coal Action confronted Fonterra over its use of climate-cooking coal at the North Island’s largest gathering of farmers this weekend. The tens of thousands of people queuing to get in to the Mystery Creek Agricultural Fieldays was too good an audience to miss. 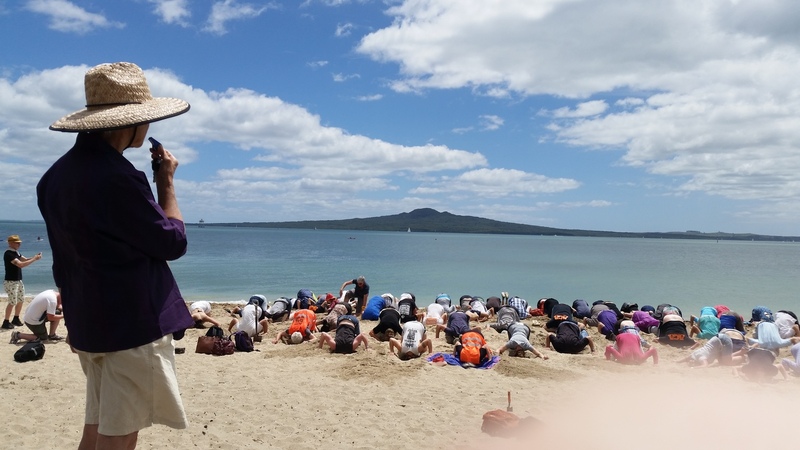 So twelve ACA people converged on the site on Saturday, the final day. First we set up our “sign trail” along the edge of the road beside the queuing traffic. 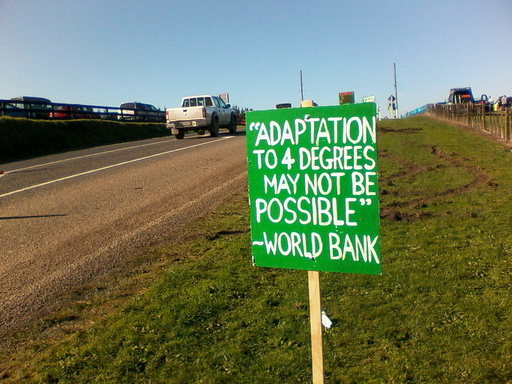 It told the story as you moved along: already 1 degree hotter; heading for four degrees. Scientists say we may not be able to adapt to that. 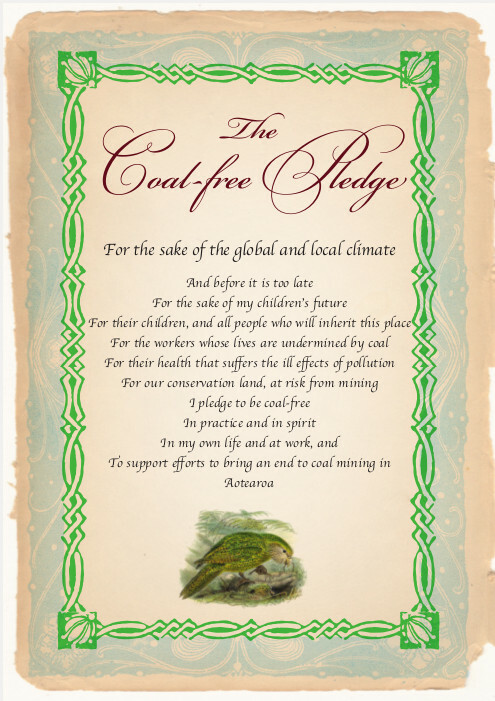 We need to stop coal mining and deep sea oil drilling. We could live on renewable energy. 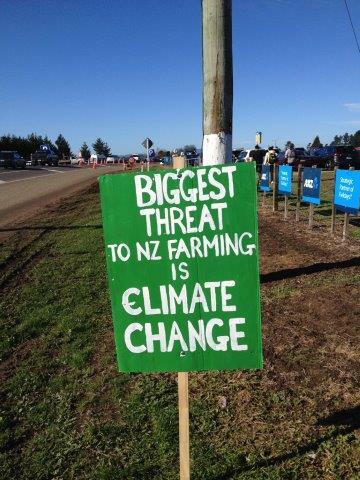 Climate change is the biggest threat to farming. A lot of heads turned and it seemed to make an impact. Police and road transport authorities came for a look and were quite unconcerned. 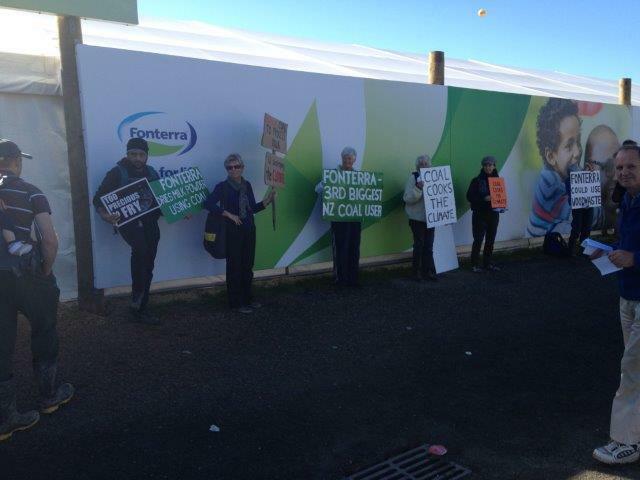 Fieldays security would have loved to remove us but had no jurisdiction on the road side. So we stayed some hours. 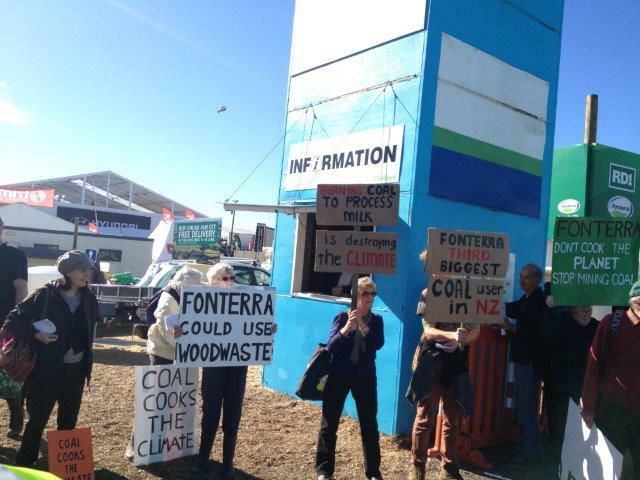 Inside we gathered at Fonterra’s site with a different set of signs: Fonterra is third biggest user of coal; coal cooks the climate; Fonterra could use wood waste; coal is so last century. 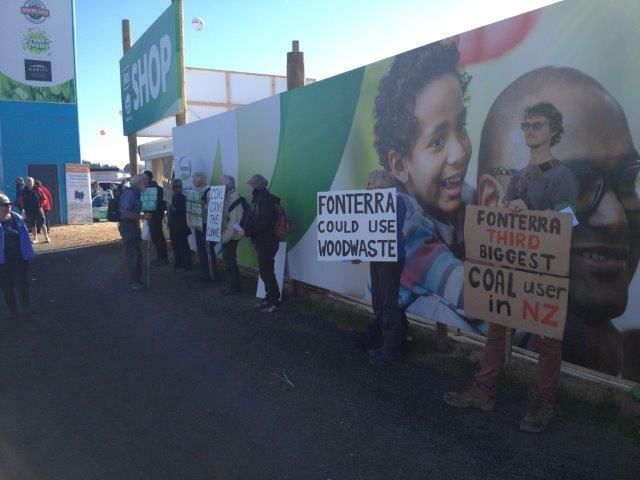 There was a long wall on the main thoroughfare painted with Fonterra scenes so we lined up there with our story. We also had small simple fliers telling the same story. 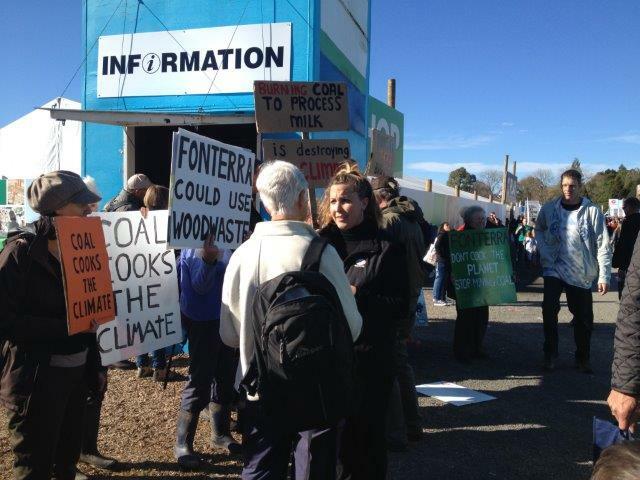 People stopped to talk in detail, and many of the Fonterra staff came out and took photos on their cell phones. 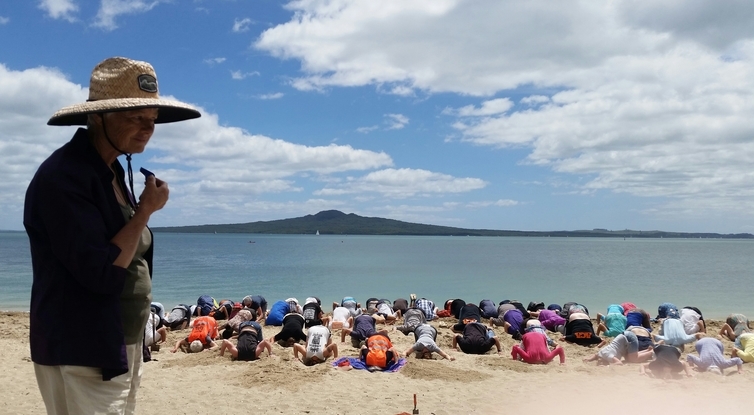 They mostly seemed sympathetic to our message. 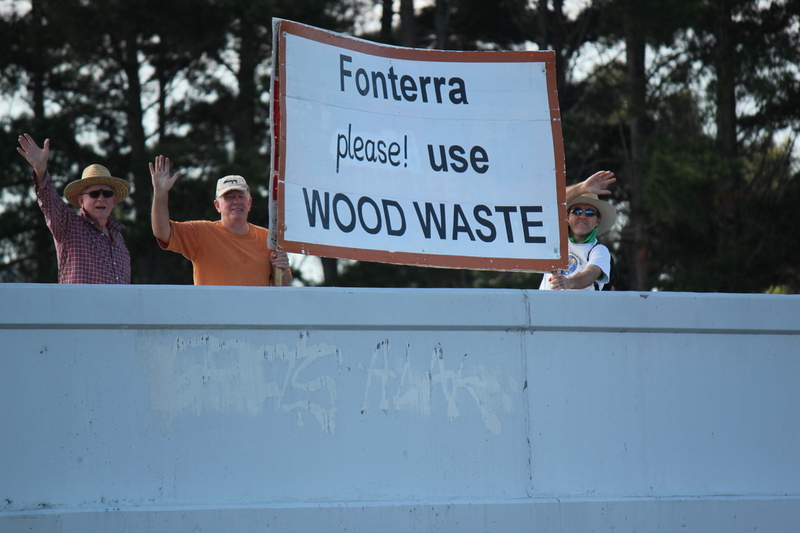 We have cut Fonterra some slack since they told us they were working on a plan to convert up to three of their boilers to wood waste and had applied internally for capital. However that was December, and still nothing has happened and there has been no report back to us. So we have concluded they aren’t serious, or that top management doesn’t support those who are genuinely working on the issue. Whatever, they need to know it isn’t good enough and we will keep on their back. We lasted maybe half an hour in all before security seized their chance and moved us on, in a particularly officious way. 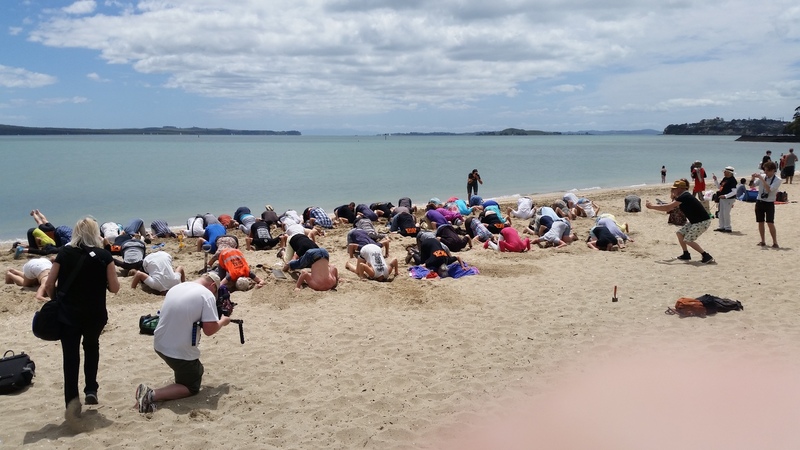 They wanted to take our signs, search our bags, force us to stay together in one place while they called the cops, all of which we laughed at and eventually talked them out of when more senior people arrived but some of them had been just spoiling for a stoush. 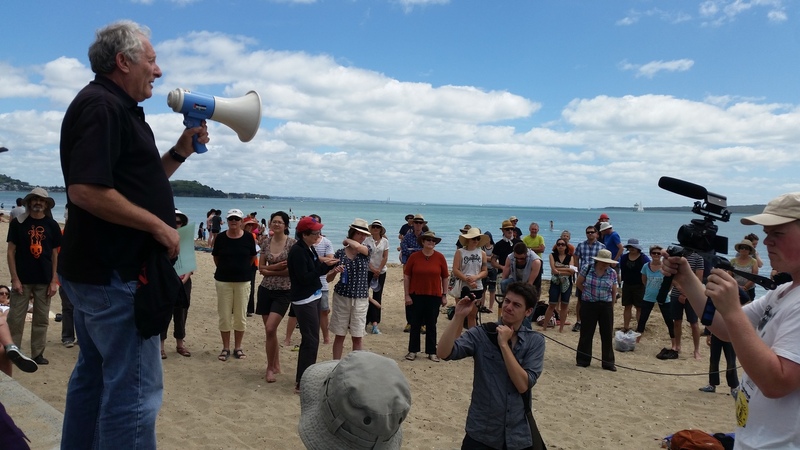 We certainly made our point to Fonterra and to quite few of the public. 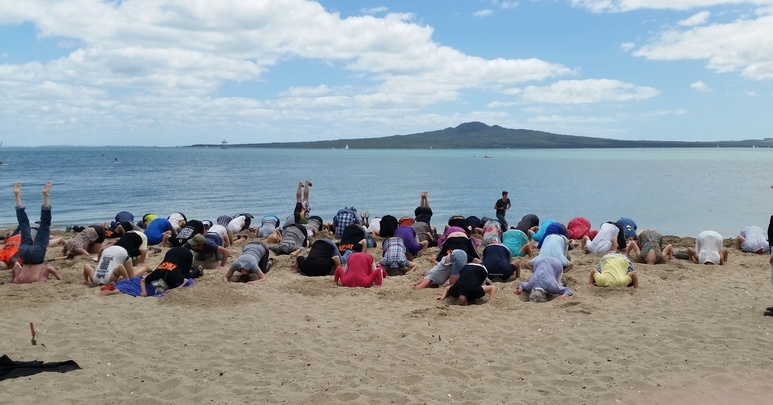 I get the feeling that there is more awareness of and concern about climate change now than a year or two ago, though there is still a long way to go.